It isn’t summer if you’re not surrounded by platters of your favourite summer fruits! 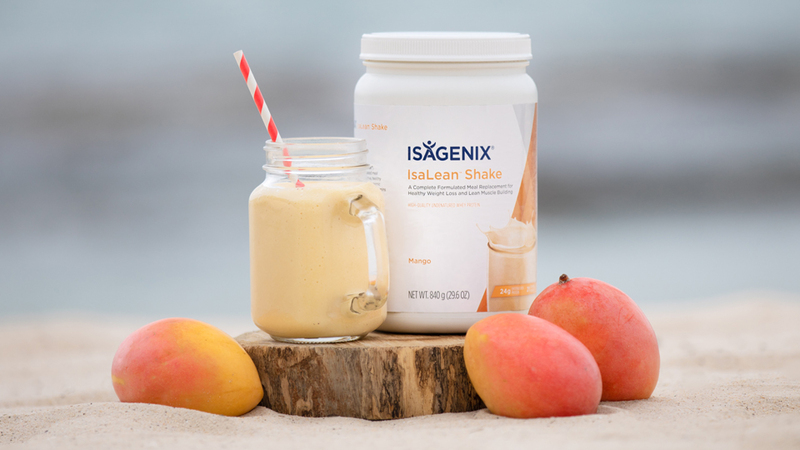 Rather than having fruit as a tasty treat to get you through the season, you can now enjoy the timeless taste of sweet Mango in your breakfast, lunch or dinner IsaLean™ Shake. You see, a regular mango doesn’t come with 24 g of high-quality undenatured whey and milk protein or 21 vitamins and minerals. Our IsaLean Shake, however, certainly does and will leave you feeling satisfied and ready to tackle the summer ahead. The limited-edition Mango shake is the perfect reward for all your CleANZe Day and New Year’s Resolution success in 2019. If you haven’t mustered the courage to kick-start your health and wellness just yet, don’t fret! Use this delicious shake as an opportunity to fuel your motivation, because it’s never too late start your health and wellness journey. Stocks are limited so don’t wait until it’s too late! Head to your Back Office or IsaLife™ app today to place your wholesale order.